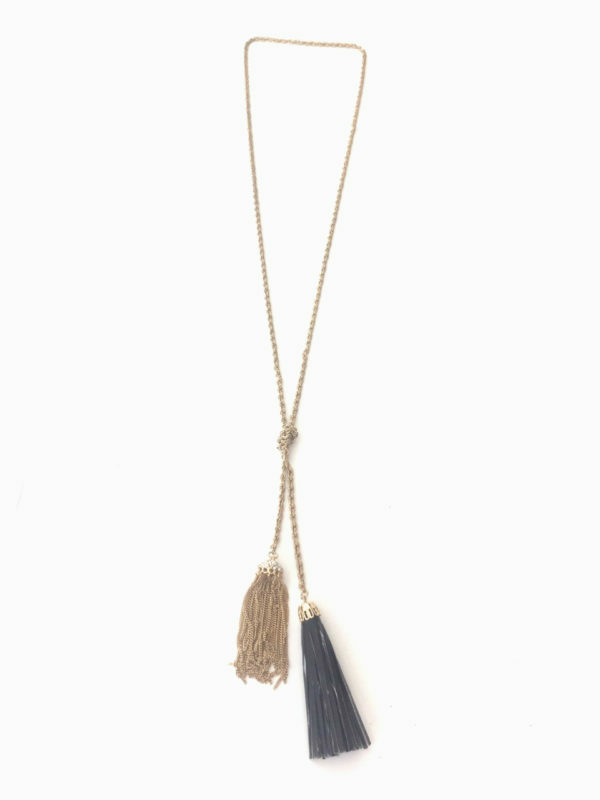 Tags: gold necklace, lariat, leather tassel, rope chain, tassels. Our gold toned lariat rope necklace adds a bit of glam to any outfit. 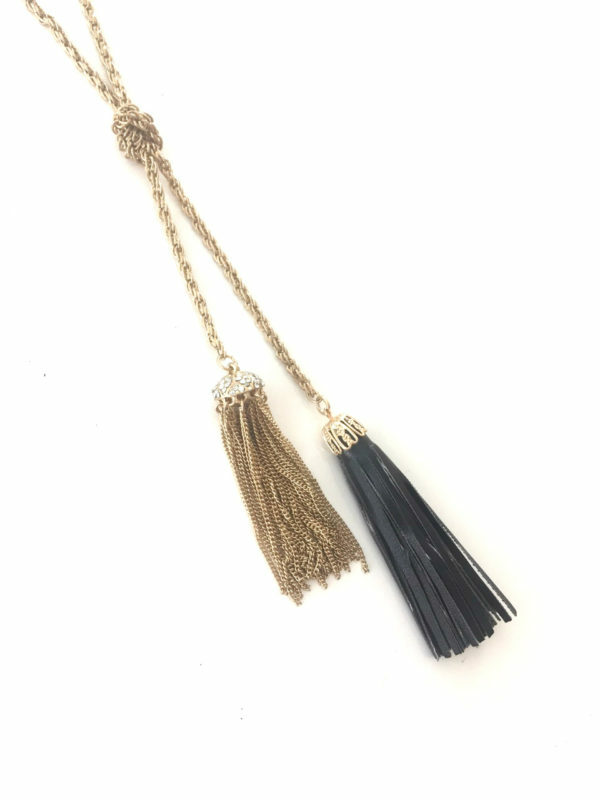 it features two tassels on each end (one gold tone and the other black leather). Style it by knotting it or looping it with any casual top or blouse, or dress for the office or a night out. 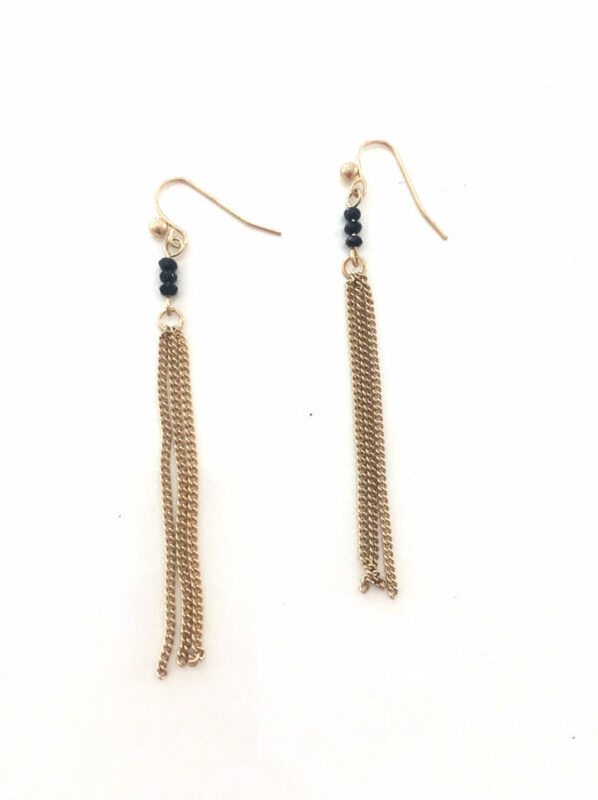 Includes a coordinating set of black beaded earrings complete with gold strand tassels.